Jordan Morris* was only nine years old when his mother recognized the symptoms of Type 1 Diabetes. From that point forward, his whole life changed—never again could he be an easy-going child without a care in the world. He was forced to grow up quickly and learned how to cope with a 24/7 responsibility that had no real break. Despite these difficulties, he became a professional soccer player with the Seattle Sounders FC. As a professional athlete, Jordan’s physical abilities are constantly tested, and having diabetes adds an extra challenge especially when trying to play a stressful game. The Dexcom Continuous glucose monitoring (CGM) System helps Jordan eliminate surprise highs or lows when he’s about to go out on the field. With the Share feature1 his coach and dad can monitor his levels during games as well and help him understand his glucose trends. He no longer has to rely on candy to get him through a game. *Paid spokesperson for Dexcom, Inc. Using the Dexcom G5® Mobile CGM System helps Jordan manage his diabetes more conveniently and efficiently. 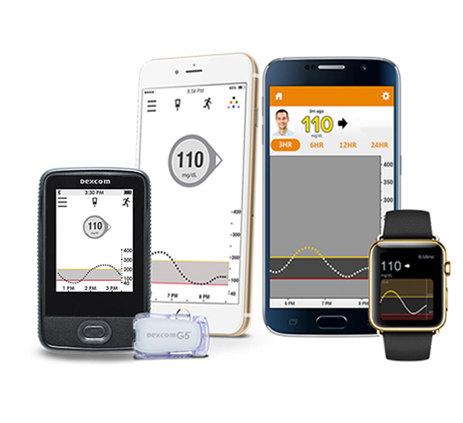 By using the mobile apps that are part of the Dexcom G5® Mobile CGM System, he can easily check his glucose information on his compatible smart device2. He’s able to feel in control and confident about his levels. Thanks to his hard work and discovering CGM to help manage his disease, Jordan has become a successful pro soccer player for the Seattle Sounders FC, earning an abundance of honors including Best XI in 2011, Golden Ball winner in 2012 at the US Youth Soccer National Championship, NSCAA Washington State Player of the Year in 2012, and NSCAA High School All-American in 2012. He also won the NCAA Division I Men's Soccer Championship. In 2016, Jordan was awarded the Hermann Trophy, given to the best player in NCAA Division I soccer. He wants anyone living with diabetes to know they can reach their dreams—having diabetes doesn’t have to slow you down. If you’re interested in becoming a Dexcom Warrior, tell us about yourself using the link below and how you would like to educate others about diabetes. If we choose to feature your story, a member of our Warriors Committee will reach out to you to provide you more details about the program. Interested in getting the Dexcom G5 Mobile CGM System?